Dubai: Dubai-based telecom operator du is set to launch its Voice over LTE (VoLTE) service in the fourth quarter of this year, allowing the operator to transmit voice calls over the existing fourth-generation cellular network. Currently, voice calls are carried over the carrier’s 2G and 3G networks, while data is carried over 4G. Du had earlier told Gulf News that the service would be available in 2015. 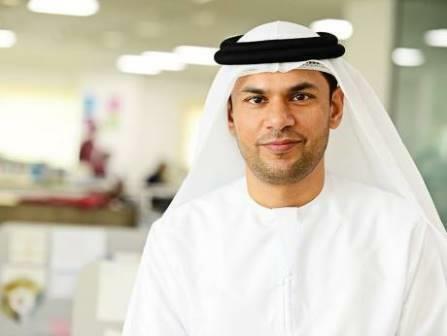 Marwan Bin Shakar, vice-president for telco infrastructure planning at du, told Gulf News that VoLTE service has been fully implemented on its network and the service is under the final assessment. We are working towards obtaining all necessary approvals, internally and from TRA, to start offering the service to the customers,” he said. Marwan said that there would be three main advantages of VoLTE — high-definition voice, better clarity and faster connection time. “A person can initiate a call within one second. Today, it is difficult to browse the internet when calling but with VoLTE, it is possible,” he said. Meanwhile, he said that du has already successfully tested VoWiFi (Voice over WiFi) and currently upgrading and modernising its network to support this service. “This process may take another nine months since many network elements are needed in place. Once the network is ready, the service needs to go through full verification and assessment. Our target is to launch VoWiFi during 2019,” he said. “VoLTE service is only offered for VoLTE certified capable devices, not all VoLTE supporting devices but only those who have passed the tests successfully and certified by etisalat and the manufacturer,” an etisalat spokesperson said. He said that etisalat has auto provisioning for VoLTE capable devices (that has been tested and certified by etisalat) without the need of any SIM replacement or new SIM. Sanmeet Singh Kochhar, general manager for the Middle East at HMD Global, makers of Nokia smartphones, said that the customer can know whether the call is over VoLTE by checking for an icon next to the signal bar. “We have a dedicated team that works with telecom operators to test our devices. More than hundred use cases are tested on the network before approving it as a VoLTE-certified device. Our new smartphones are being tested by etisalat,” he said.